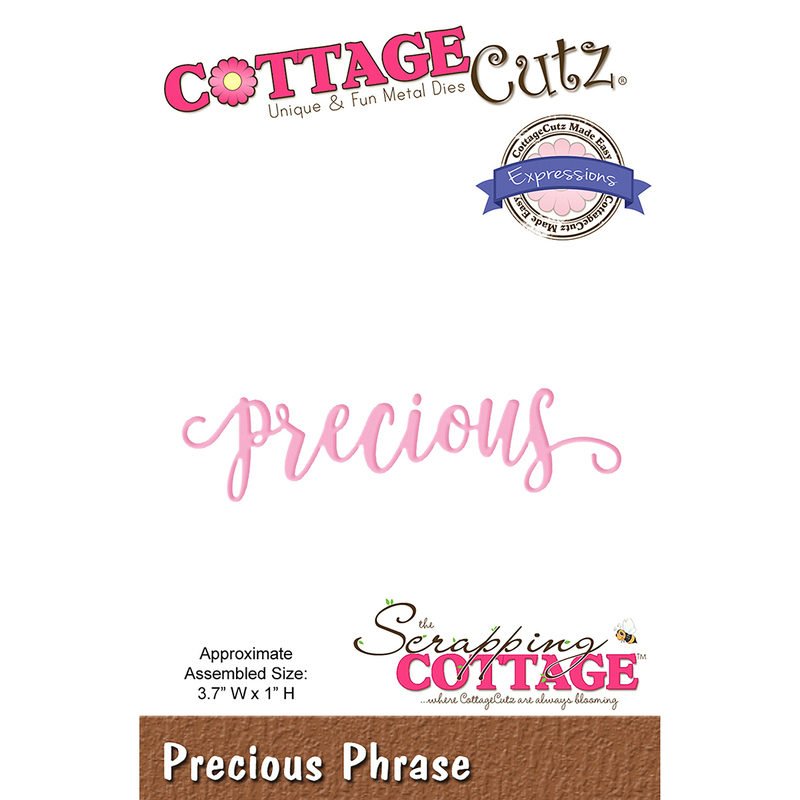 ›Cottagecutz Expressions Plus Die-Precious 3.7"X1"
Cottagecutz Expressions Plus Die-Precious 3.7"X1"
With Design Styles That Are Cute And Adorable, Fun And Whimsical, And Classically Elegant These Universal Wafer-Thin Dies Make A Great Addition To Your Paper Crafting Supplies. Cut Amazing Shapes Out Of Paper, Cardstock, Adhesive-Backed Paper, Vinyl, Vellum And More. They Are Made From American Steel And Are Universal Dies Designed To Work With All Leading Brand Die-Cutting Machines On The Market. This Die Has An Easy Release Coating Along With Pin Holes That Aids In The Removal Of The Cardstock. This Package Contains One Die Measuring 3.7X1 Inches. Design: Precious. Made In Usa.